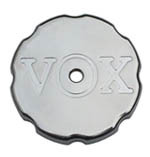 North Coast Music has permanently discontinued the production of all Vox swivel trolleys and rigid stands. Many are already sold out. All of the models that are still available are offered below and are in short supply. 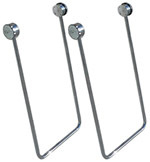 The AC-15 and AC-30 rigid stands are sold out. 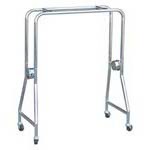 Many of the swivel trolleys are sold out as well, including AC-30, Buckingham, 715, 730, 760, Defiant, T.60, T.100, AC-100, Super Beatle, small box AC-50 "Australia" stand. The Vox "Z" leg organ stands have also already sold out. I have none of any of these left, neither first quality or blems. I have no other source to suggest as these were all uniquely produced by North Coast Music. I'd be surprised if anyone will ever make these again. Please don't beg if I will make "just one more" for you, the firm that built our stands required a minimum order of at least 100 stands per style. There is no "sign up" list.